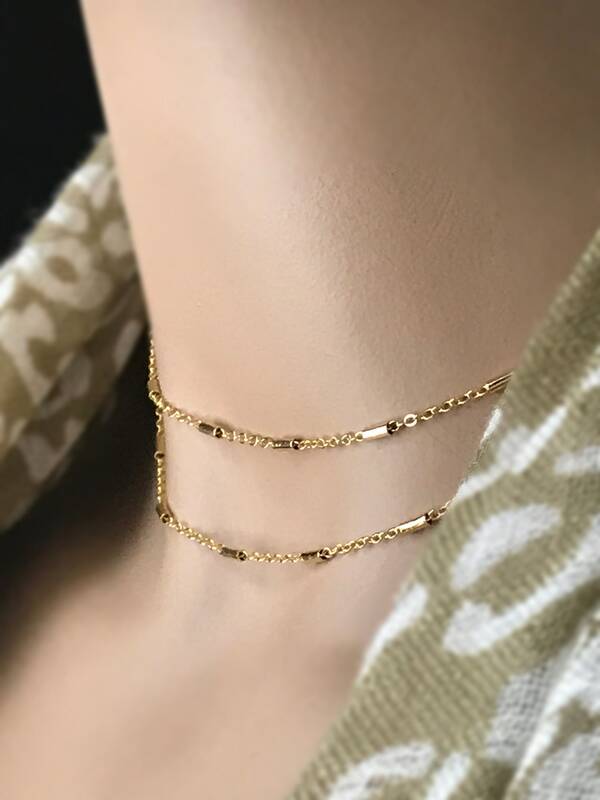 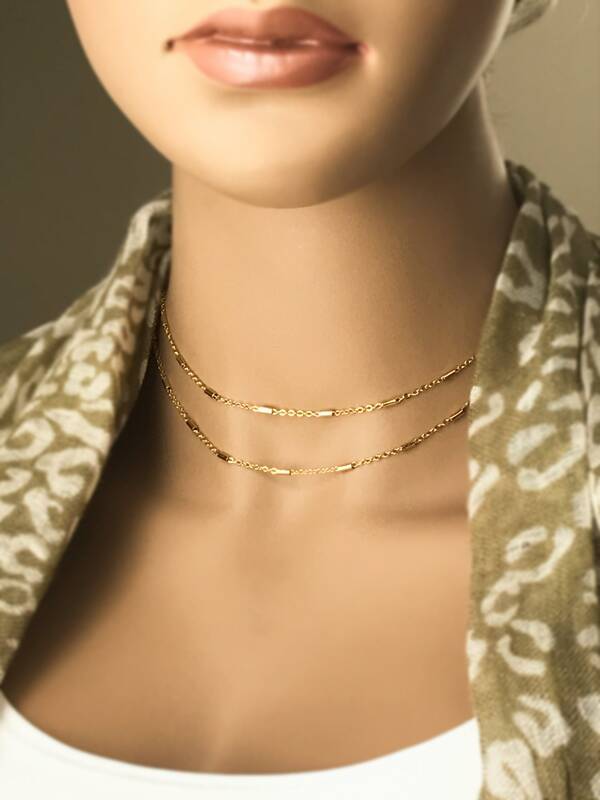 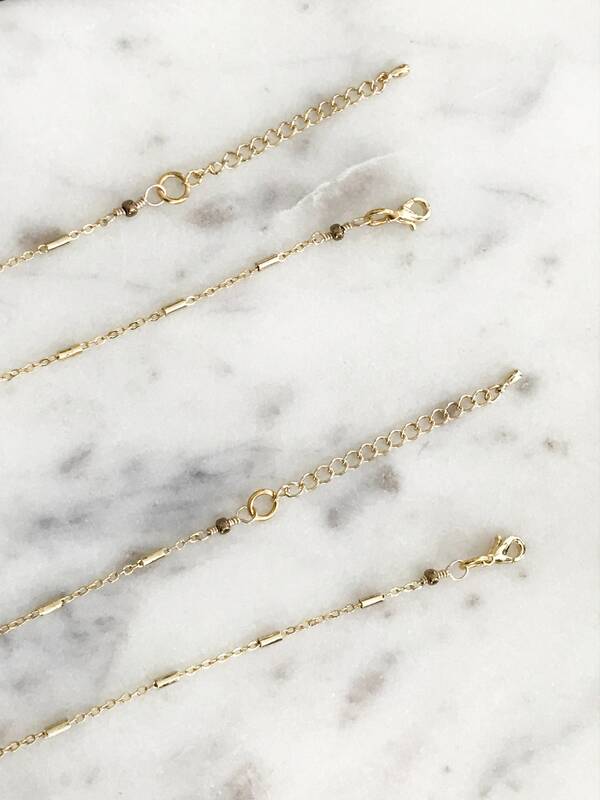 Length 12.5" ~ 14.5" 13.5" ~ 15.5"
Great layering choker. 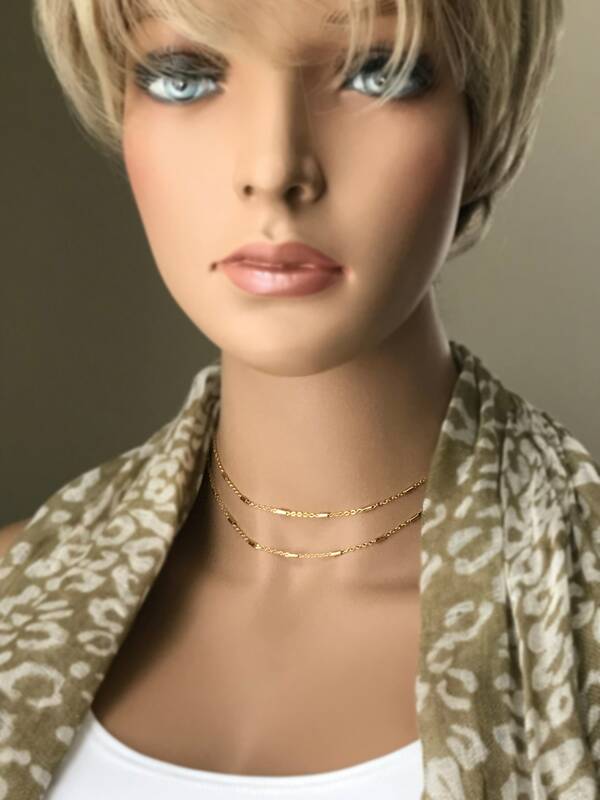 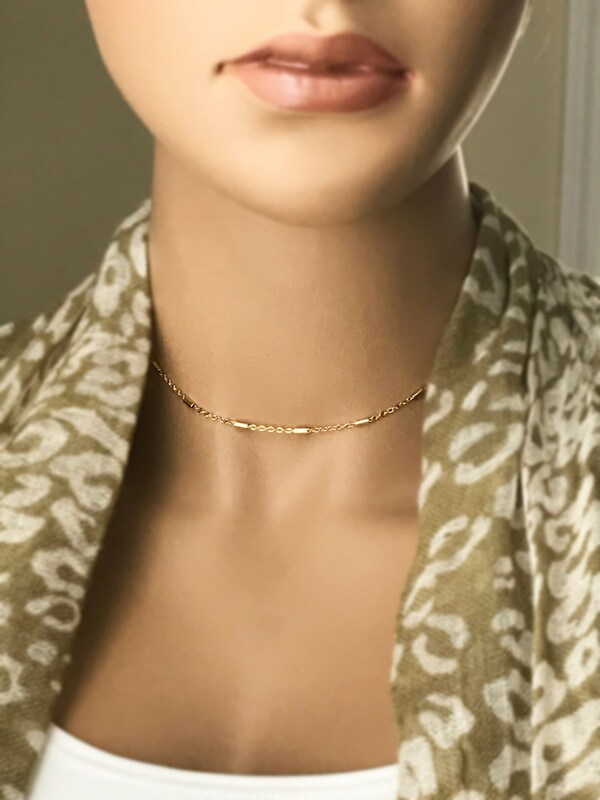 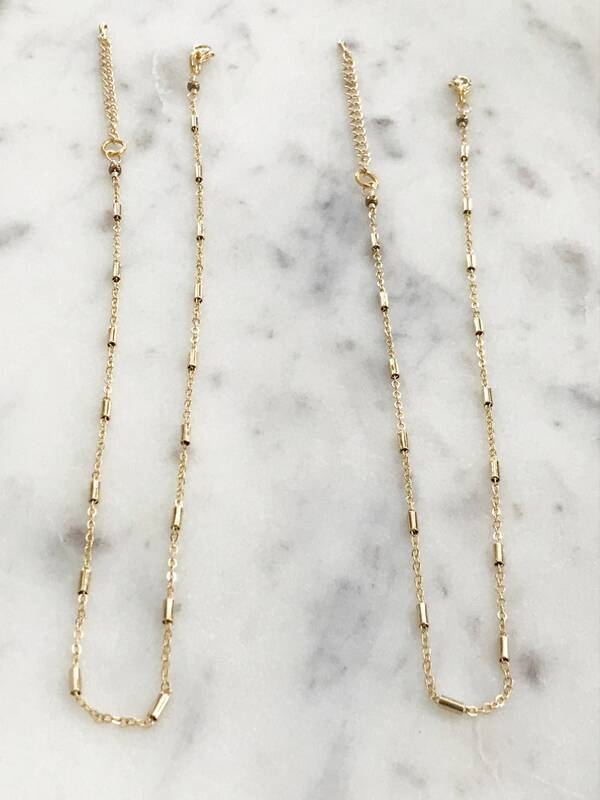 Light weight beautiful shiny gold chain. 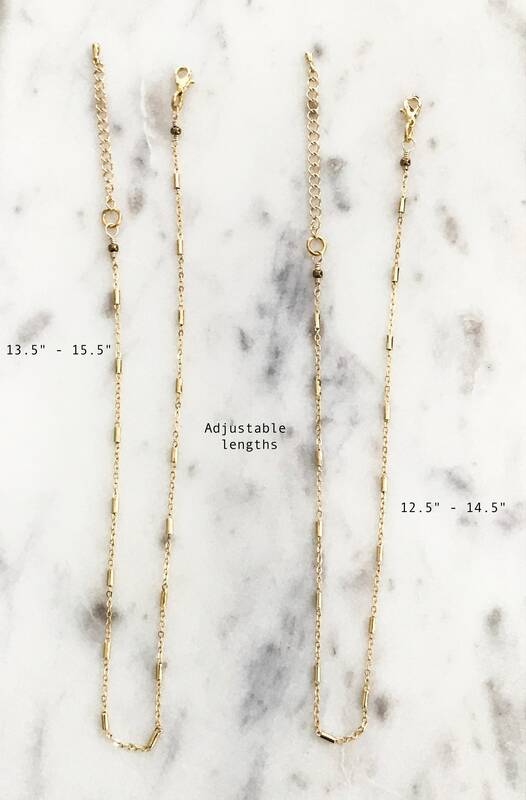 Choose from one of two different adjustable lengths, either 12.5" - 14.5" or 13.5" - 15.5".